Here are Resources that we think might be of value to you, your teams, and your practices! INTERESTED IN PRESENTING AT THE AAEVT ANNUAL CONVENTION? Members of the AAEVT are invited to submit Case Studies for consideration for presentation during the 15th Annual AAEVT Annual Convention in Denver, Colorado – December 7-10, 2019. All final case studies must be submitted by November 1, 2019 and adhere to the following Instructions for Presenters. A case study examines a specific medical event, modality, or procedure in order to communicate the practice, outcomes, trends, and means for understanding an important and unique medical case with greater clarity. Does the case represent an unusual or atypical method or procedure? Does the case provide important insight for a common problem seen in practice? Does the case challenge and offer a counter-point to prevailing practices? Case studies presentations are to inform and educate peers and industry professionals on the details and outcomes of unique and interesting cases. Letters of Intent must be submitted to the AAEVT President-Elect, Nicole Bone (nbone@roodandriddle.com), by July 15, 2019. This Letter should also include both a Summary and an Outline of the proposed case study. A review of your Letter of Intent (and Summary & Outline) will be carried out by the AAEVT Executive Board and you will be notified by August 1, 2019, if your case study has been considered for presentation at the 15th Annual Convention. A Rough Draft of your case study presentation must be submitted to the AAEVT President-Elect, Nicole Bone (nbone@roodandriddle.com), by September 1, 2019. The Final Letter of Acceptance for those participants who have had their papers selected for presentation will go out on September 15, 2019. Deadline for submitting final Case Study for presentation & publication is November 1, 2019. Presenters must have been directly involved in the case being presented, not just in observation of. Letters of Intent and Final Case Studies (including pictures, charts, etc.) 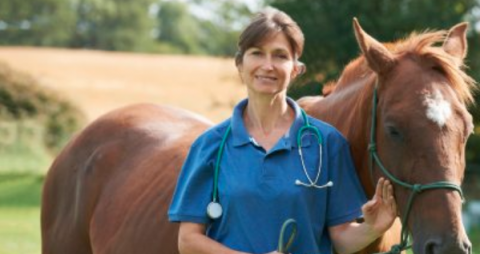 must be approved by both the attending DVM and horse owner(s). Case Study Presentations are limited to 20 minutes and must be able to be presented within that time allowance. Selected case studies will be printed in the 2019 AAEVT Proceedings and presented at the 2019 Annual Convention. Presenters will receive complimentary registration and a Speaker Honorarium. Presenters are expected to take all precautions to protect the privacy of the patient and owners. If your presentation references the use of a compounded pharmaceutical, please be certain that you are familiar with the FDA guidelines on the use of compounded pharmaceuticals and that the product you reference is in compliance.